A man from Antioch had a 713 score, was self-employed, and could not prove his income. He was able to get a 15 year loan at 6.25% with a payment of $428.70 per month on a 2012 Heartland Bighorn 3670RL. A couple from Livermore had a 690 score. They were able to get a 12 year loan at 7.75% interest with a payment of $267.19 per month on a 2012 Koala 25D. A man from Sacramento was declined at another dealer. He was able to get a 15 year loan with a 6.25% interest rate and $366.22 payment on a 2012 Forest River Crusader 260RLD. A couple from Modesto came to us with a 670 credit score. They were able to get a loan at 180 months, 6.25% interest, and payment of $561.56 on a 2008 HURRICANE 32E. A man from Manteca had a 730 score and only 10% down. He was able to get a 20 year loan, 2.74% interest, and a payment of $335.23 on a 2012 Coachman Freelander 21QBC. 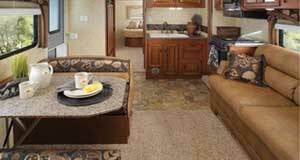 We would like to discuss your individual situation and help get your family RVing with a GREAT INTEREST RATE & PAYMENT! For over 40 years Manteca Trailer & Motor home, LLC has been offering our customers the very best services possible. Our state of the art finance department features the highest level of security possible to protect our customers personal and confidential information. Customers can have peace of mind knowing that their personal information is safe in our secured document areas where only a few approved personnel are allowed access, with state of the art video monitoring systems, heightened internet security for safe and secure online credit applications, and much more. Our team strives to be the most secure and compliant finance department in the country. With over 35 years of finance and business experience our team has worked with over 20 lenders such as: Bank of the West, US Bank, Bank of America, Uncle Credit Union, Mocse Credit Union, USAA, Mokelumne Credit Union, Sierra Central, Travis Credit Union, Ally Bank, Merrick Bank , Medallion , Marine 1, Spring Leaf, Golden 1 Credit Union, Financial Center Credit Union, Allied Credit Union, Operating Engineers Credit Union, Valley First Credit Union, Bank of Stockton, and many more to get the lowest rates and best terms possible for our valued customers. 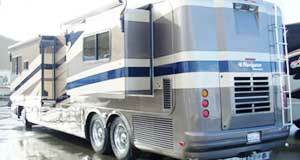 Been looking at RVs for sale in California, but worried that you won't be able to get RV financing? Just talk to the professionals at Manteca Trailer & Motorhome first! We have flexible financing for travel trailer, fifth wheel, pop up camper, or toy hauler of your dreams. Apply for credit today to see if that beautiful motorhome just might be in your reach! Manteca Trailer is not a lender but may assist in the approval of the loan. All payments are plus applicable tax and license. All loans are subject to a banks final approval and funding of the loan. 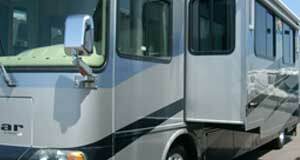 Protection Exclusively Tailored For Your RV! Slide outs, motor, parts, etc. Protects against fading, oxidation, hard water spots, yellowing, etc.